More than ten million viewers watched the 2010-2011 season of “Glee”, many of whom are in the same stage of high school that the actors portray. The show has touched on many controversial topics but perhaps an episode aired recently was about as close to the edge as they’ve come. In front of teenage girls, Lady Gaga confessed that she struggled with an eating disorder in high school. She was one of the thousands of teenage girls who gag themselves, purging their bodies of what they have just eaten in the horrible disease called bulimia. 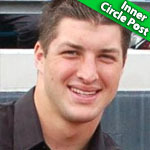 Youth Lessons: Tim Tebow is on the top of his game. Love him or hate him, the kid’s got talent. He seems to be a natural athlete with a staunchly upright moral character. While he hasn’t made a huge deal about his virginity, the media has.